On October 6, 2001, the new groundbreaking talent show, “Pop Idol”, created by the artist manager and television producer, Simon Fuller premiered on British ITV. Running for nine weeks, it became a huge success. The winning song, “Evergreen”, was written exclusively for the contest by Jörgen, Per Magnusson and David Kreuger. 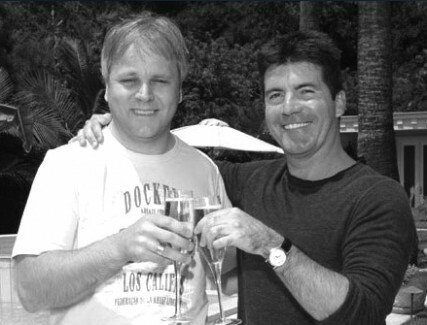 Because the broadcast of the music competition had been delayed by several months, Simon Cowell, one of the judges and A&R at BMG, decided to first release the song on Westlife’s album, “World of Our Own”. 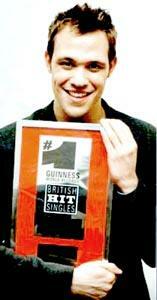 The first Pop Idol, Will Young, was crowned winner on February 10, 2002. 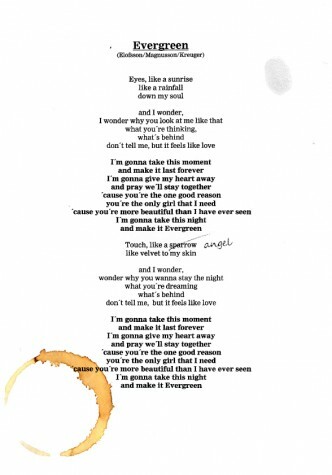 Two weeks later, on February 25, “Evergreen” was released. Read an excerpt from Simon Cowell’s autobiography “I Don’t Want to Be Rude, But…”. Pop Idol’s first runner up, Gareth Gates, also recorded “Evergreen” which became the b-side of his debut single. Gates pushed Young down from the #1 spot on UK Top 40 where he remained for four weeks straight. For a week, Jörgen held both #1 and #2 positions on the charts with the same song, a feat that had never happened in the UK before. Gareth Gates’ second single, “Anyone of Us (Stupid Mistake)”, also co-written by Jörgen, hit the UK record stores on July 8th. By selling more than 500,000 copies in seven days, Gates returned to #1 where he stayed for three weeks. By August 2002, Jörgen had already spent ten weeks at the top of the UK charts. But his very successful year would include yet two more #1’s.